Exploring some Early Spring Doubles with a 130mm f/5 Newtonian Reflector. Plotina; sampling a rich variety of double stars in early March skies. Early March evenings provide some great opportunities to observe double stars of various levels of difficulty. This work is based on a single night’s observations, which took place on the late evening of March 4 and shortly after midnight on March 5 2019. The instrument used was a 130mm f/5 Newtonian reflector. The cork-lined optical tube assembly provides excellent thermal stability and when it is perfectly collimated and acclimated to the night time air, it produces beautiful images of double stars under good seeing conditions. 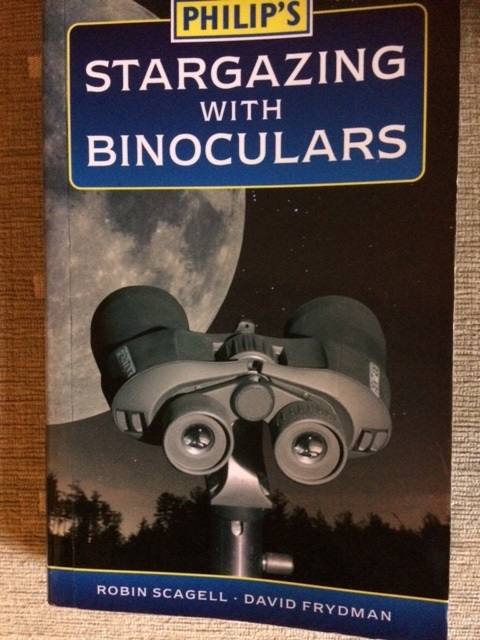 The reader can also enjoy these doubles stars with other types of telescopes. For the most difficult systems I would recommend at least a 120mm refractor, a C5 or C6 Schmidt Cassegrain, a 6″ Classical Cassegrain or a 127mm Maksutov Cassegrain. The evening on which the observations were made proved very good, with a brisk southwesterly wind and good steady seeing conditions (Antoniadi II). As I explained in a few previous blogs, I point the 130mm Newtonian straight into the wind, where it acts as a natural boundary layer scrubber. No fan was used. I started with Theta Aurigae, now well past meridian passage but still quite high in the western sky. The system always provides a good challenge for the medium aperture backyard ‘scope. I used a power of 260x (Parks Gold 7.5mm coupled to a Meade 3x Barlow) to obtain a wonderful view of the faint companion.The challenge here is the large brightness difference between the pair (magnitudes 2.6 & 7.2) That said, the 130mm reflector will always resolve this tough system in good seeing conditions. Our next target presents an altogther different type of challenge to the double star observer. Wasat (Delta Geminorum) is a creamy white star shining with a magnitude of +3.5 but it has a much fainter companion; an orange dwarf star shining feebly at magnitude +8.2. The challege here is to pick it off from the primary as it is very close in. Good transparency is a necessity for glimpsing it. I used a power of 118x (Meade 5.5mm Series 5000 UWA) to bag it. These form a true binary system with a period of about 1000 years. Iota Cassiopeiae: a much easier system to resolve, and contrary to erroneous literature claiming otherwise (a nefarious meme promulgated by refractor nuts in paticular), presents little in the way of a serious challenge. This is a lovely triple system, with all three components observed at 260X (Parks Gold 7.5mm coupled to 3x achromatic Meade Barlow). Our next port of call is Alula Australis (Xi UMa) in Ursa Major. Being very high in the sky at this time of year, it is ripe for exploration with a decent backyard ‘scope. The near equal magnitude creamy white components shine with magnitudes +4.3 and +4.8 are are rapidly widening, being accessible to the smallest telescopes after 2020. As a keen student of this system for over a decade, I have watched it slowly widening from season to season and now is a great time to see this wondrous apparition of nature. The changing aspect of the pair is easily explained by virtue of its short orbital period; just 60 years. Easily resolved in the 130mm f/5 at 260x, I enjoyed an even better view at 354x (Meade 5.5mm UWA coupled to a Meade 3x Barlow). Our next target is right next door; look through your finder and move the telescope to the other bright star in the field of view. I speak of course of Alula Borealis. The 130mm f/5 presents the system beautifully; an orange primary(magnitude +3.5) and just 7.4″ away, the exceedingly faint companion shining with a magnitude of +10.1. Well seen at 118x and 135x (Meade UWA 5.5mm & 4.8mm T1 Nagler, respectively) roughly due west of the primary, observing the tiny, faint spark is a sight for sore eyes! Back into Gemini now for our next target, which will present a much greater challenge:Propus (Eta Geminorum).The primary is a red giant star, which fluctuates in magnitude, varying in glory from + 3.1 and + 3.9 over a period of about eight months. The challenge is to see the very close-in companion, which shines much more feebly at magnitude +6.2, but it’s located just 1.6″ away, making this an exceedingly difficult system, requiring great patience and perseverance to crack. That said, I was able to successfully resolve the companion for the third time this season, on the evening of March 4, using a power of 354x (Meade UWA 5.5mm coupled to a 3x Meade Barlow) in my 130mm f/5 roughly northwest of the primary. If you don’t bag it on a good night, don’t fret, the unstable, geriatric primary probably plays a role in making it difficult to see. But repeated observations over a period of a few weeks should yield success! The stars orbit their barycentre every five centuries. 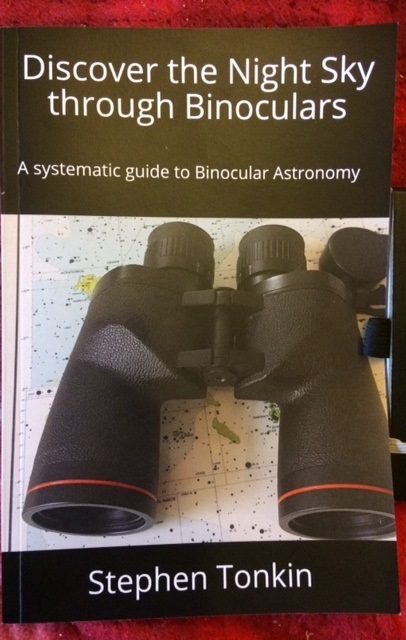 My final offering is also very challenging; much more so than many observing guide books would have you believe. I speak of Iota Leonis, a creamy white star shining at magnitude +4.1. The challenge is to resolve the secondary; shining more feebly at magnitude + 6.7. Separated by just 2.1″, I usually wait until the fairly low lying system in my far northern skies, reaches the meridian, which it did at about 00:40UT on March 5 2019. I used a power of 354x(Meade 5.5mm UWA and 3x Barlow) to resolve the tricky pair. The secondary lies roughly due east of the primary and orbits its brighter luminary every 186 years. 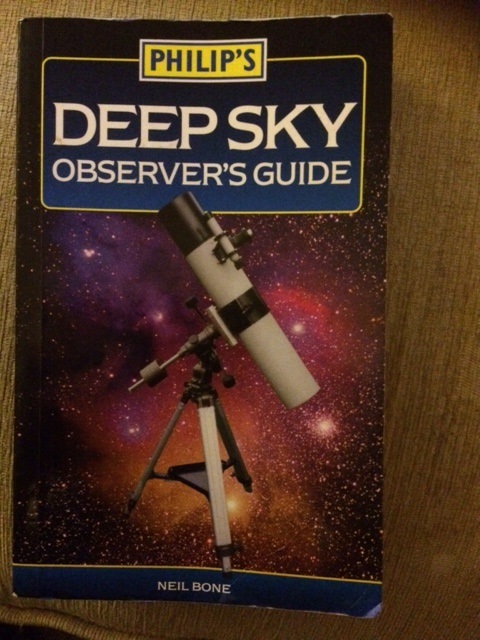 My guide book suggests a 76mm telescope and high power is about the minimum necessary. I think this is a pipe dream though. What do you think? Well, that’s your lot folks. I hope these systems will give readers a good challenge on cool March evenings and keep you busy and active. Neil English recounts the history of many celebrated double star observers over four centuries of time, using both refractors and reflectors, in his latest work, Chronicling the Golden Age of Astronomy. Some Comments on Pocket Binoculars. 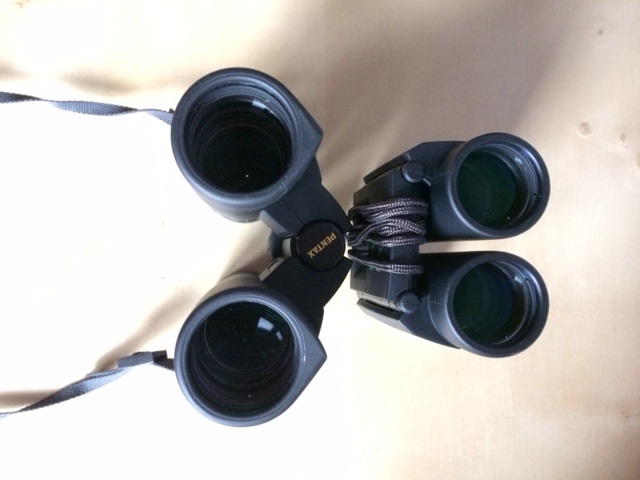 A representative sample of pocket binoculars; clockwise from the top: the Opticron Aspeheric 8 x 25 LE, the Pentax DCF 9 x 28 and the Celestron Nature DX 8x 25. Binoculars come in all shapes and sizes, and at prices that suit virtually everyone’s budget. 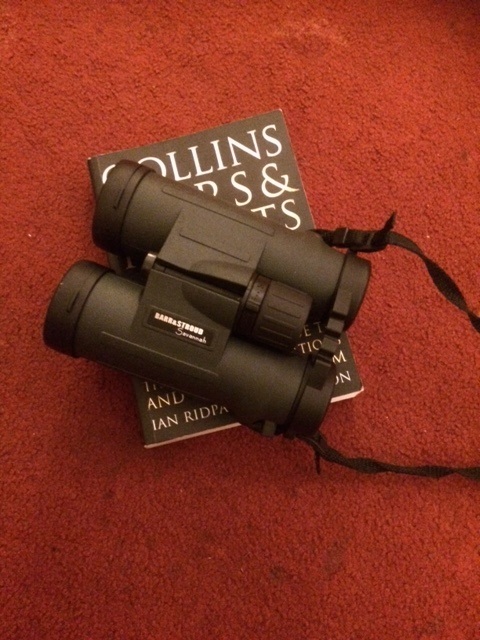 As you may be aware of, I’ve re-ignited my interest in the modern binocular market, having somewhat neglected it for the best part of three decades. But I’ve been making rapid progress and would now like to discuss the market for the smallest binoculars; the so-called pocket variety. 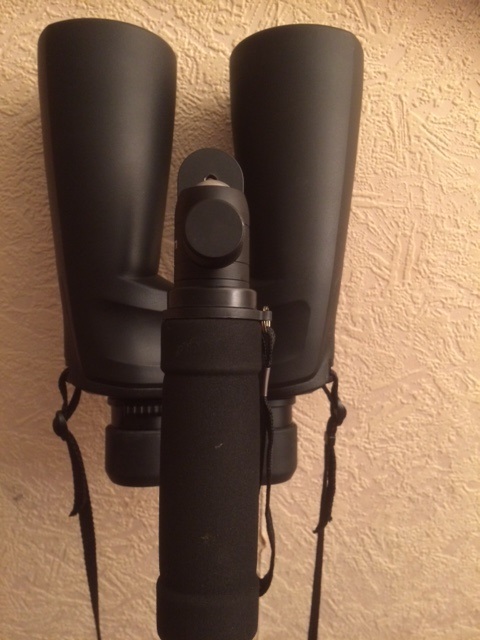 Though any objective look at this market is very much like hitting a moving target, I acquired three products which I believe are fairly representative of the entry-level to upper-mid to premium class of pocket binocular that can be purchased. First off, let’s come up with a working definition of a pocket binocular. To my mind, these would be instruments under 30mm in aperture and have magnifications in the range from about 6x to 10x. As their name suggests, they are small enough and light enough to fit inside a regular pocket (though some pockets are certainly larger than others lol!) and so would be no larger than about 4 square inches in area and weigh less than about 400g. Unlike all the other classes of binocular; including compacts, full-size and large instruments; the reader may be surprised to learn that even the most expensive models in the pocket class of binocular are not exorbitantly priced. Indeed, you can acquire models from the threee premium binocular manufacturers(Zeiss, Swarovski and Leica) for about £500 or sometimes less. This reflects their limited utility; very useful for hiking and other outdoor excursions that require strict minimisation of weight but ultimately not an instrument one would happily use where there is easy access to a larger(say mid-size) instrument. That said, you can get essentially the same performance out of some models that cost significantly less than the premium brands, if you know what to shop for. That just reflects how manufacturing technology has caught on. Now, I do a fair amount of hill walking and have learned the hard way that even my favourite binocular – the magnificent Barr & Stroud Savannah 8 x 42 wide angle – is a bit of a pig (weight wise) to climb with. That stoked my interest in acquiring a smaller unit dedicated to enjoying quick looks around the landscape from an elevated vantage and this naturally led me to testing three roof prism-based units units that can be acquired relatively inexpensively; either newly purchased or acquired second hand; the Celestron Nature DX 8 x 25mm (purchased new for £59 plus shipping), the Opticron Aspheric 8 x 25mm LE (actually my wife’s binocular, purchased new for £110 a few years back with the slightly modified new version retailing now for £129) and a Pentax DCF 9 x 28mm (purchased second hand for £119 but still under warranty and now available for £199 in the newer (AD) incarnation). 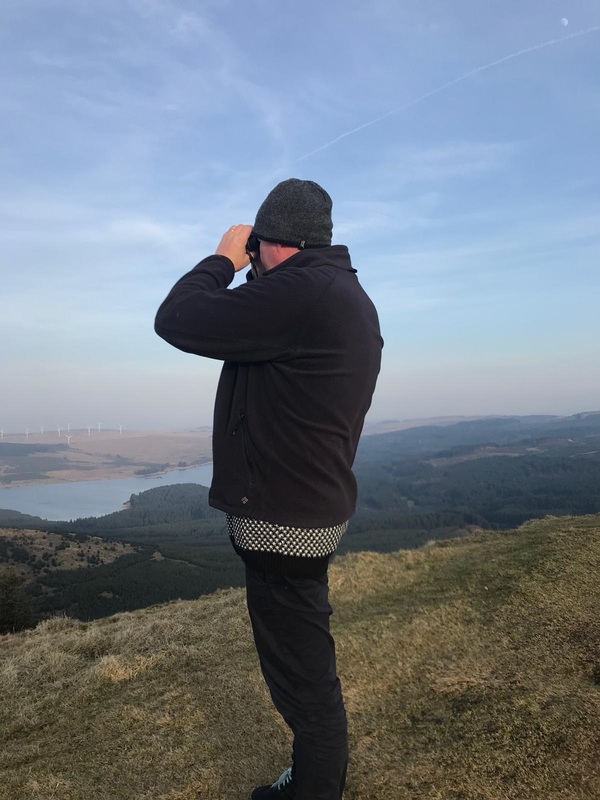 Yours truly recently surveying the landscape with a pocket binocular atop the Meikle Bin, Campsie Fells, Scotland, elevation 1,870 feet. Check out the gibbous Moon at upper right! These were not acquired for specific astronomical use, though I did find out that there are significant differences between them when looking at some astronomical targets. But you’ll need to read the rest of this blog to find out those details! Nota bene: A new discussion has arose on tiny binos here lol. Let’s take a closer look at the instruments. 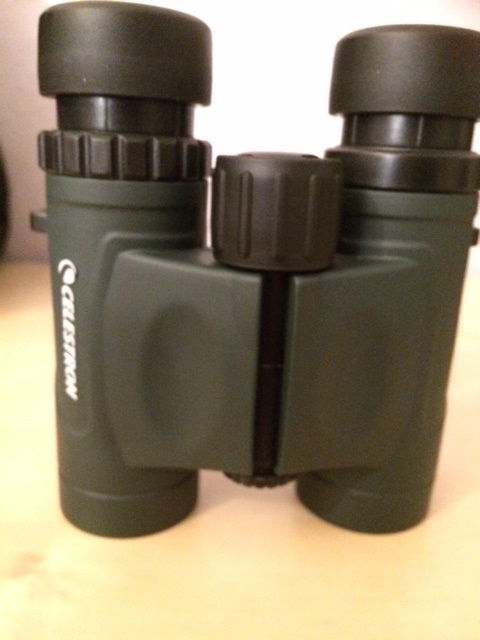 First up, the Celestron Nature DX 8 x 25. Full specifications here. 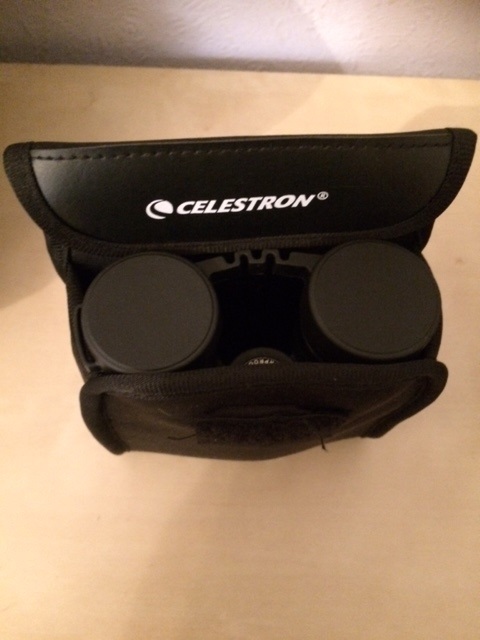 The Celestron Nature DX 8 x 25 has twist-up eyecups giving very comfortable eye relief. This very cost-effective pocket binocular from Celestron offers many attractive features for the savvy consumer. 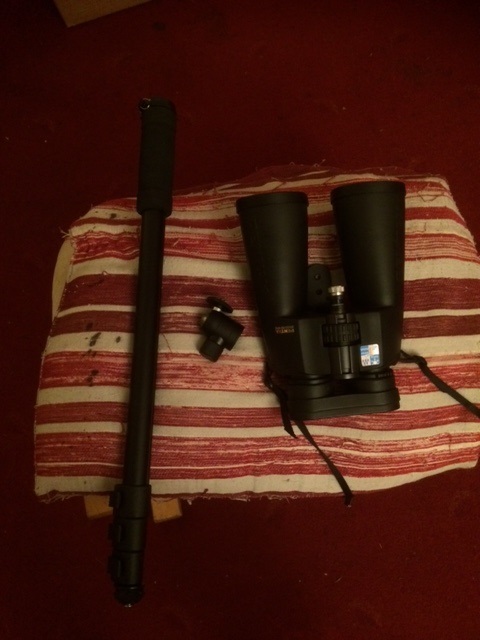 Weighing 343g, the package includes the binocular, a basic neck strap, a lens cloth, nicely fitting rubberised ocular and objective lens covers and a decent carry case. It also includes a basic instruction manual to get you going fast. What is rather remarkable is that the binocular has a few optical features that were offered only on premium models just a decade ago; including fully multi-coated optics, BAK-4 prisms, with phase correction. It is also waterproof and is purged with dry nitrogen gas preventing internal fogging and minimising internal corrosion. 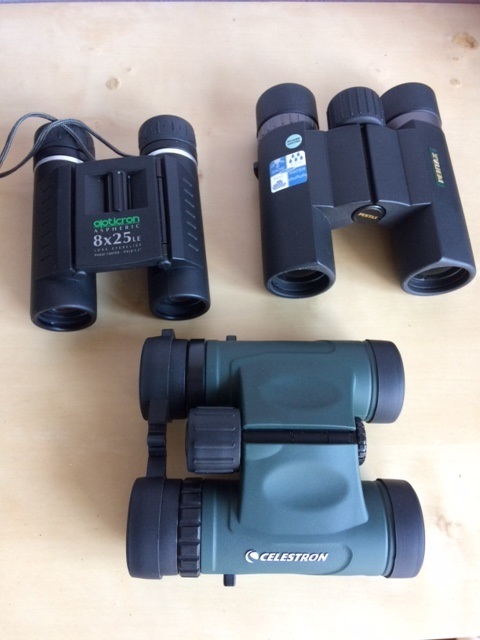 The Celestron Nature DX 8 x 25 offers a very generous field of view of 7.2 angular degrees which is actually quite remarkable for such a low cost unit. Looking down on the Celestron Nature DX 8 x 25. Note the specifications on the large, central focusing wheel. The plastic eyecups twist upwards giving a comfortable 14mm of eye relief. The cups are kept down for eye glass wearers. 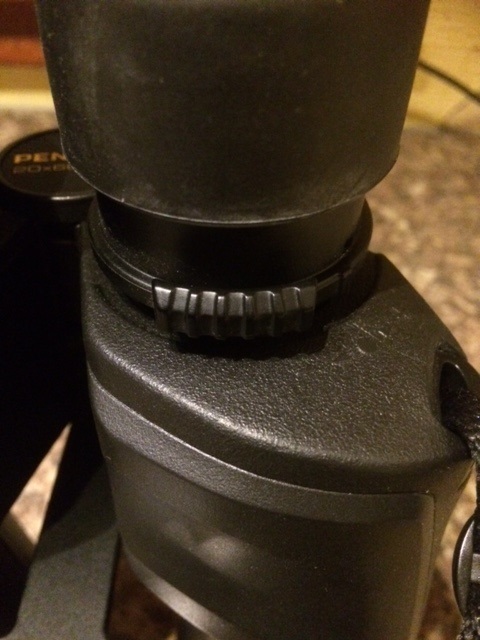 The dioptre setting is reassuringly stiff and is located just under the right eyecup. 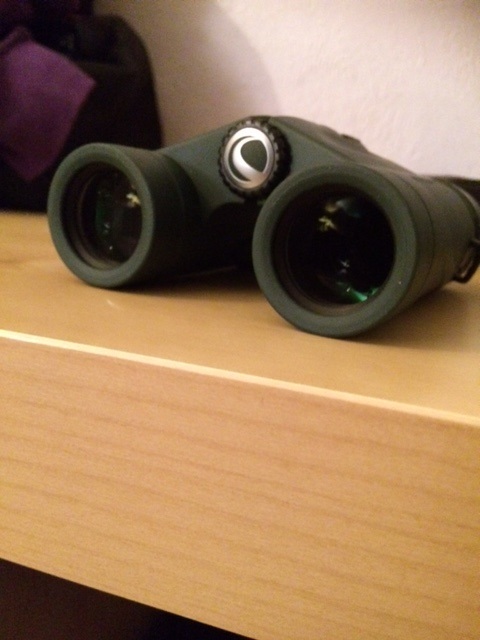 Viewing through the binocular is very comfortable and the large field of view is bright and sharp across most of the field. Only in the outer ten per cent of the field can one detect a little softening of the image. Chromatic correction is very good, as is the control of pincushion distortion. 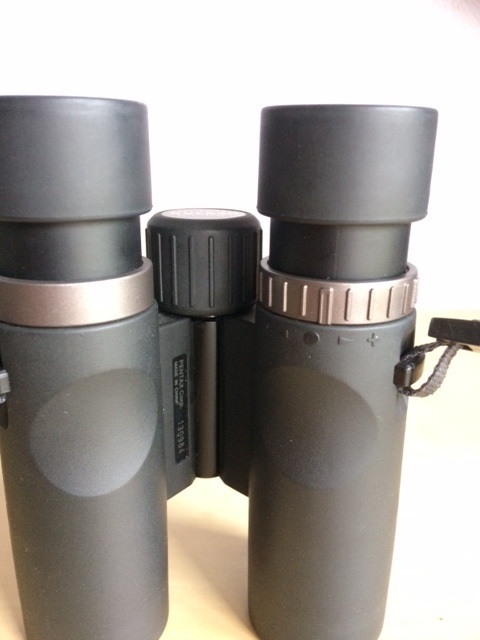 The objective lenses on the small objectives of the Nature DX binocular have good coatings. It has a stiff, central hinge that can accommodate virtually all IPDs. It has quite a solid feel in use. The body is made of a low mass but strong polycarbonate material with a plastic- like(read non rubberised) green overcoat. Grip is adequate but I would have liked to have a higher friction, rubberised over coat. The large, centrally placed focusing wheel is quite stiff and only turns through ~ 290 degrees, so less than 1 revolution between infinity and closest focus(an impressive 2m). This result is at odds with the claims of some other reviews I have read on the Nature DX (720 degrees, or two full revolutions claimed!). See here for an example. Perhaps it is unique to this small Nature DX model? The instrument gives remarkable depth of focus! When the wheel is turned to the end of its travel so that objects in the far distance are focused, my eyes were able to get very sharply focused images all the way down to about 35 yards distance! 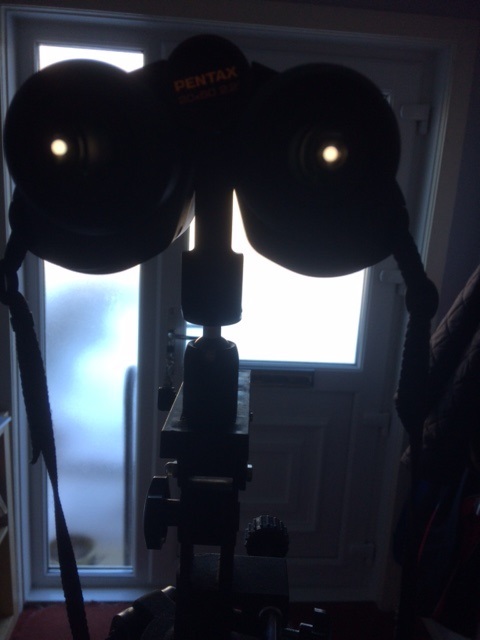 I did discover a significant flaw in this instrument however; point it at a bright light source at night or at the Moon, and it will show strong internal reflections/lens flaring. 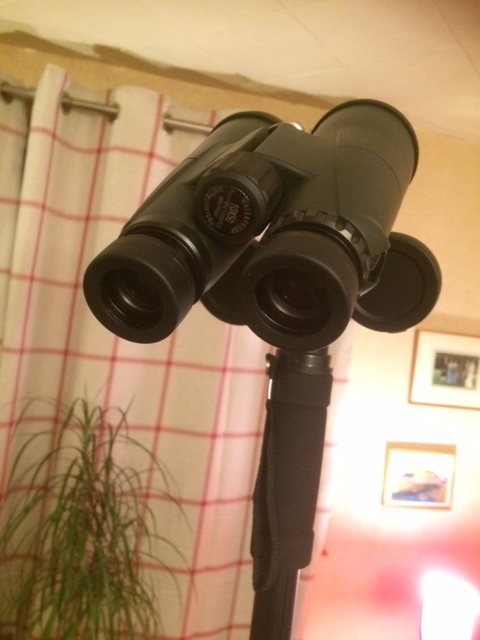 I found observing the Moon to be particularly annoying with this binocular and if imaging a backlit scene during the day, it will also throw up the same reflections which reduces the punch of the image. You cannot see these reflections when looking at most scenes though; it shows none on even the brightest stars, as verified by my testing on the Dog Star, Sirius. I do not know whether these internal reflections are found on other Nature DX models but it can (and should) easily be tested. But for £59 plus shipping, I can’t really complain. Afterall, some internal reflections are found in all binoculars, even premium models. The Celestron Nature DX pocket binocular comes with a decent soft-padded case, a lens cloth and a basic neck strap. The ocular and objective lenses also have good rubber caps. The user will have to decide if this flaw is annoying enough to justify passing on the purchase of this product. Everyone’s different I suppose! This might bother some observers more than others; the instrument is otherwise quite excellent and I can see how it has been lauded(Cornell Ornithology Lab) as a great entry-level birding binocular. That said, all of the reviews I have read never mentioned this flaring/internal reflection, which is somewhat alarming. It just seems to have gone unnoticed. I think simple tests like this should be mandatory for all optical testers. The model has recently been discontinued from the Nature DX line. 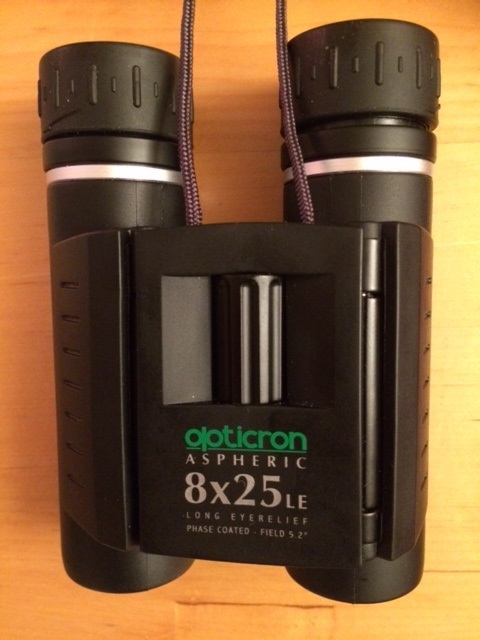 The little 8 x 25 Opticron Aspheric LE pocket binocular. 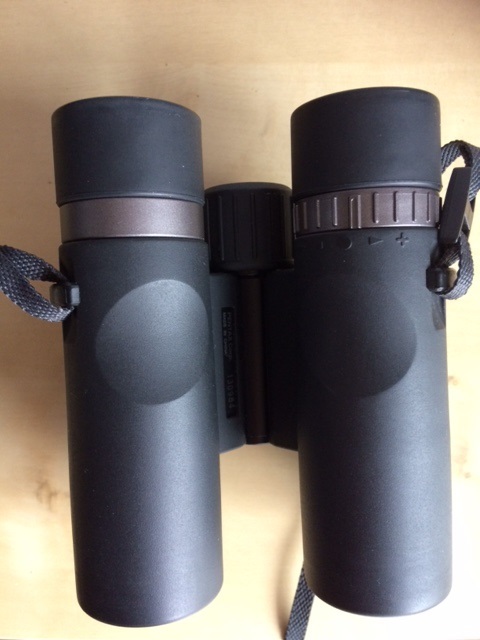 The Opticron Aspheric LE 8 x 25 is a well-designed pocket binocular. Tipping the scales at just 291g, this is the lightest binocular of the three by a significant margin. It has a very well constructed double-hinge design that also allows the barrels to be folded right up to each other, also making it the most compact of the three models discussed here. The hinges fold outwards to accommodate virtually any IPD and can be comfortably set in seconds. 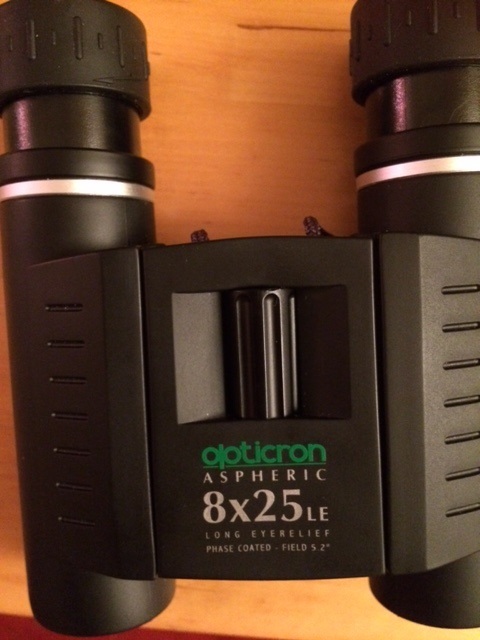 The Opticron Aspheric LE 8 x 25 has an elegant double-hinge design that enables it to be folded up( it’s just 66mm wide) for very snug transport anwhere, anytime. 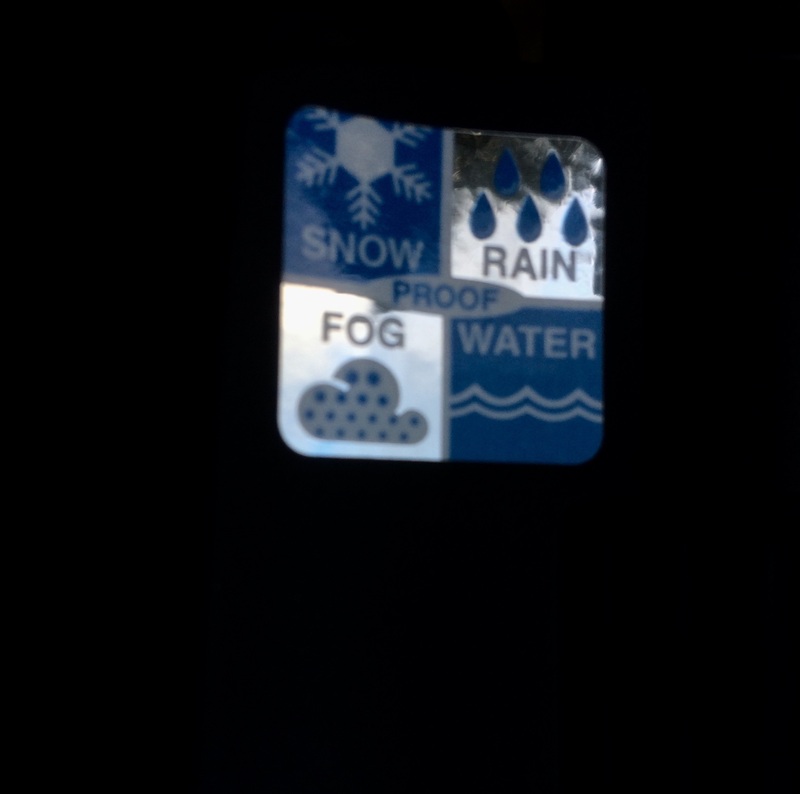 Unlike the Nature DX, it is not weatherproof or nitrogen purged; but not a big deal as my wife likes to remind me. As you can discern from the first photo of the unit above, the optics are of high quality with a full multicoating, which includes a phase correction coating on the roof prisms, that delivers bright, high-constrast images of objects during well-illuminated, daylight conditions. The eyecups twist up for non-eyeglass wearers and offers generous eye releif (16mm). 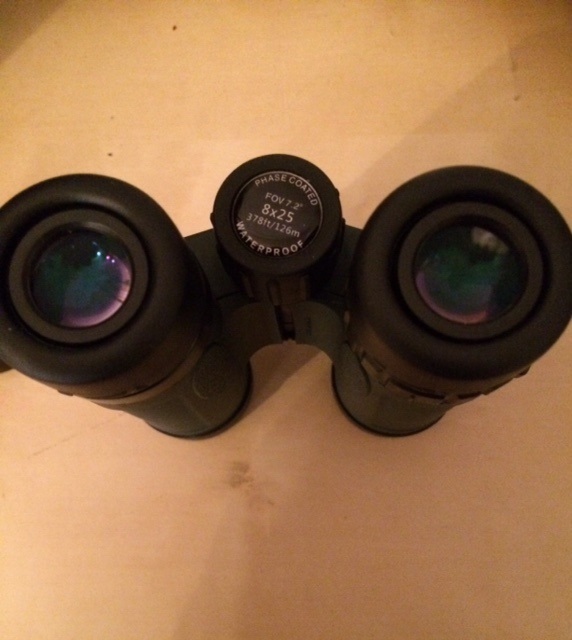 The eye cups are of a higher standard than those found on the Celestron Nature DX and appear to be rubber-over-metal. They stay in place reasonably well. The rubber-over-metal twist up cups are of a higher standard of workmanship compared to the Nature DX binocular and offer 16mm of eye relief. Note the small, central focusing wheel that is quite hard to grip. Optically, this is a sharp shooter, offering well-correcetd images over a 5.2 degree field. I felt that this was rather a small field though, in comparison with that offered by the Nature DX binocular discussed previously and does take a bit of getting used to if one is especially fond of wider views. But its aspherical optics certainly deliver the readies, producing a lovely, flat, low-disortion images from edge to edge. I guess this is the price one has to pay for a more restricted field of view. Internal reflections are much better controlled in this unit than in the Nature DX, as evidenced by pointing the instrument at the bright Moon at night or other bright sources of artificial light. Backlit scenes during the day are a tad more contrasted too. Besides the small field, the only other issues I had with the Opticron pertain to its very small focusing wheel, which is hard to grip in my (not overly large) man-sized hands, and it’s a nightmare to use with gloves. It can often prove difficult to turn the focuser fast enough to keep up with moving terrestrial targets such as rapidly moving corbies. I believe the updated WP model(with the same specifications so far as I can see) has a slightly larger focusing wheel with better grip. In addition, I found its very light weight a bit offputting, as it was difficult to find a good, secure position in my hands. The unit comes with its built-in lilac coloured lanyard, so no need to affix a separate strap. I’m not really a fan though, as it feels as though you are being slowly garrotted when walking with the binocular around your neck lol! 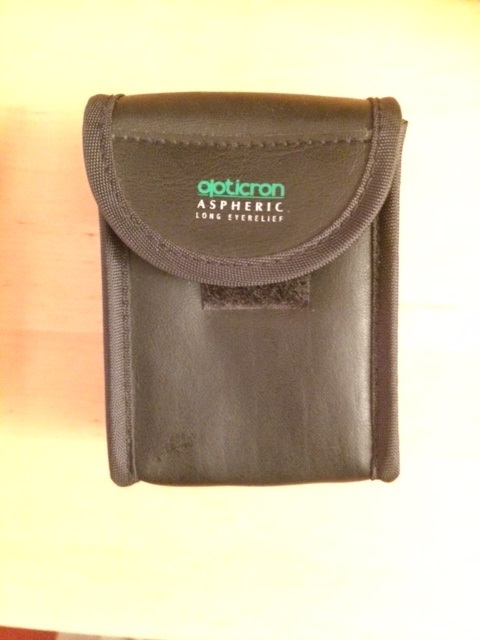 The tiny but well made carrying pouch for the Opticron Aspheric LE 8 x 25 pocket binocular. All that being said, my wife loves it; lanyard and all! She says it looks as good as operates, with small, elegant black tubes that easily fold up in tiny pockets. It’s also perfect for her quick looks at the bird table in our garden and for taking on her hill walks with her girlfriends. I don’t use it very often though, as her dioptre setting is much different to my own! 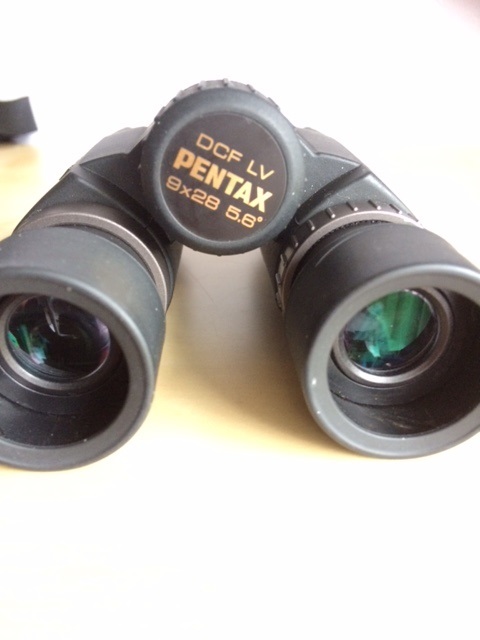 Finally, let’s take a good look at the Pentax DCF 9 x 28mm LV pocket binocular. 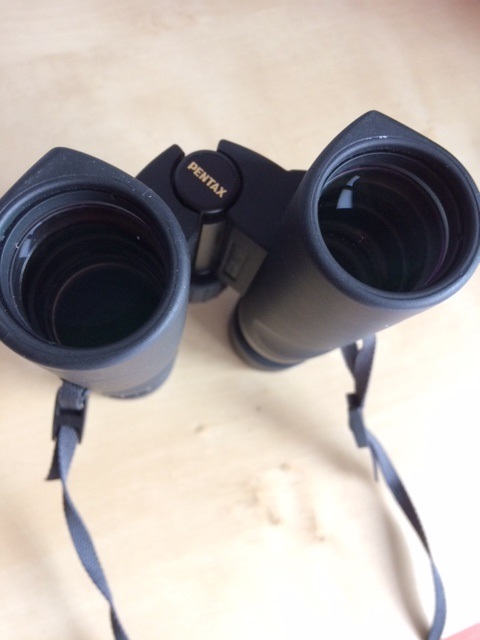 A liitle gem: the remarkable Pentax DCF 9 x 28mm LV pocket binocular. Some information about the unit when the product was first launced back in 2009. And here’s an independent review of the same instrument. 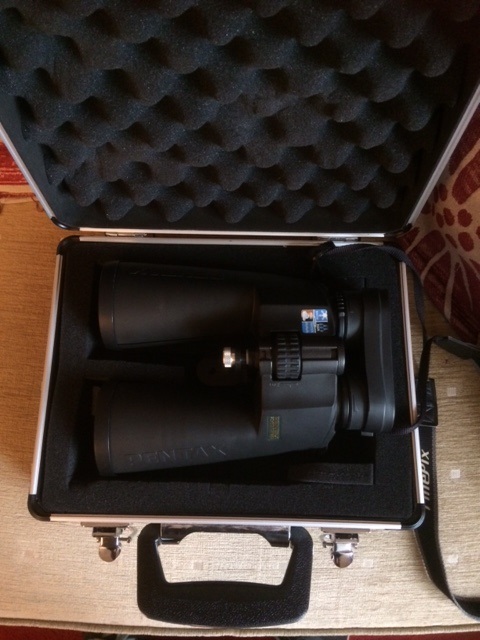 The reader will note something rather interesting from the review article linked to above; all of the compact binoculars highlighted in the table the reviewer presents, including premium models, like the Leica Trinovid 10 x 25, do not use ED glass. This is an important point, as it serves to highlight the fact that no real gains in performance are achieved by inserting one or more ED elements in the objectives of these binoculars. If there was an obvous advantage, don’t you think companies like Leica would have insisted on using it? Though it is conceded that some pocket models like the Zeiss Terra ED 8 x 25 do have ED elements, their cost is actually consideraby less than the Leica Trinovid(as of early 2019 average UK pricing). I view the use of ED glass in such small binoculars as a clever marketing ploy. Now back to the Pentax DCF binocular. The instrument tips the scale at 365g; definitely on the heavy side as pocket binoculars come, but still under the 400g cut-off point between pocket and compact models. The instrument is weather proof and is dry nitrogen purged to prevent internal fogging of the elements. The optics are fully multi-coated and the prisms have been phase coated to improve brightness and contrast in the images. The instrument has a field of view of 5.6 degrees, noticeably larger than the Opticron Aspheric but not nearly as large as that yielded by the Nature DX. Then again, the Pentax provides a power of 9x and not 8x as the other models do, which invariably has an impact on the maximum true field achieved. Looking from the ocular end of the Pentax DCF 9 x 28. The instrument is very well endowed from a mechanical point of view, with a large centrally placed focusing wheel with excellent grip, even while using gloves. The wheel rotates through about 300 degrees, so not very much in the way of travel from infinity to minimum close focus. The barrels are covered with a tough rubber coat making it especially suitable for rough field use. I really like the metal-over rubber eyecups, which are strong and comfortable. The user has a choice of 4 positions, from fully down use with eye glasses to fully extended. 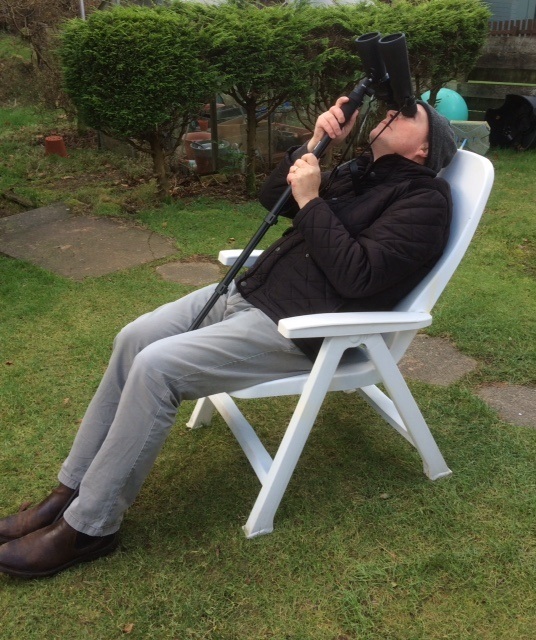 I found having the eyecups twisted up to the mid-position provides all the eye relief I require without glasses. When clicked into place at a given position, the eyecups maintain their positioning even after applying unreasonable pressure. The high quality twist up rubber over metal eyecups click into four positions and hold those positions well in field use. Note the dioptre ring under the right eyecup. 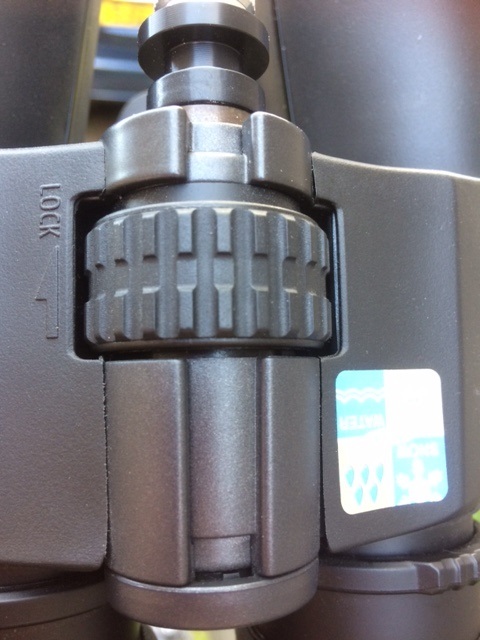 The underside of the binocular has thumb indentations to assist holding the binocular steady in field use. The underside of the binocular has thumb indentations to assist with holding the binocular stably. The anti-reflection coatings on the Pentax DCF are very well applied and I would rate them superior to those on the Opticron Aspheric model previously discussed. The Pentax is not nearly as compact as the Opticron however, as seen in the photo below. 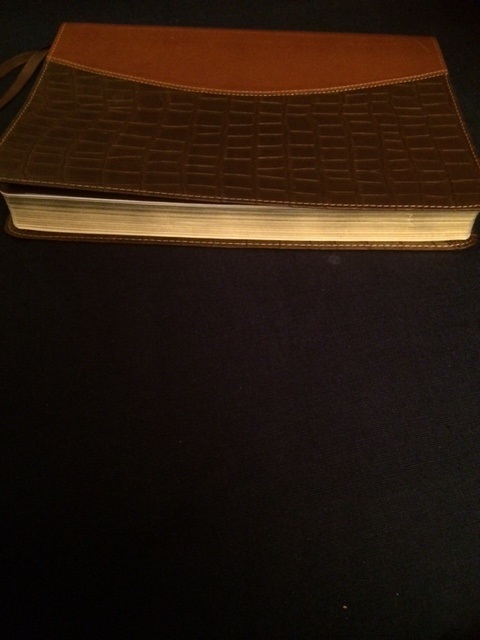 This was not found to be a problem; it’s still small enough to fit into a coat pocket or the palm of my hand. 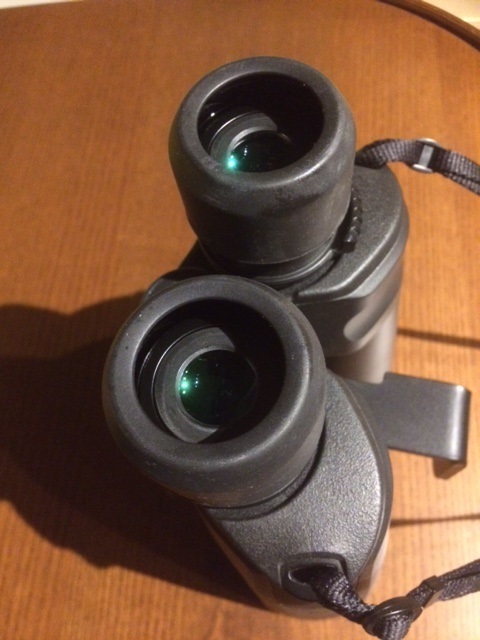 The central bridge connecting the barrels do not allow the Pentax DCF to fold into the same compact size of the Opticron Aspheric binocular.Note the coatings on the Pentax( left) are a little bit less reflective than the Opticron( right). The central hinge of the Pentax DCF is reasonably stiff but not quite as stiff as that of the Nature DX model. I find that the latter is just right for quick deployment with the correct IPD(for my eyes) achieved in seconds from its fully folded in position. The objectives of the Pentax DCF LV are noticeably larger than the 25mm models, which has an immediate impact on its light gathering performance. Afterall, it gathers about 25 per cent more light than the other models discussed in this blog. I like the recessed position of the objectives with a little overhang from the barrels. This helps to reduce lens flaring and /or the control of stray, off-axis light while using it in the field. The Pentax DCF objectives have excellent coatings applied to them and are nicely recsessed from the top of the barrel to help suppress stray, off-axis light. 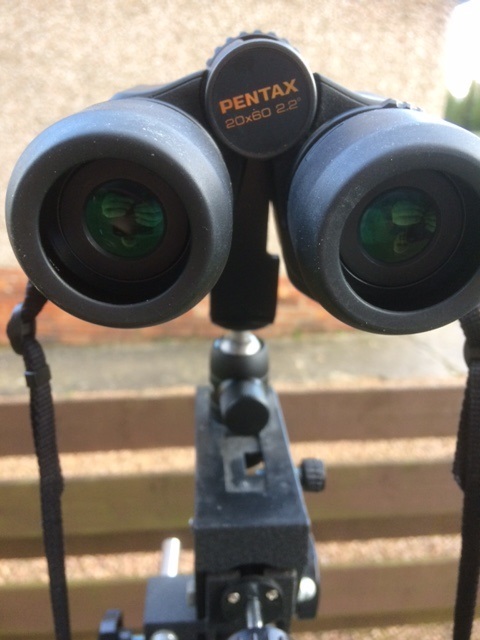 The Pentax DCF LV 9 x 28 feels very comfortable while in use and has more of the attitude of a 30mm compact binocular than the smaller 25mm instruments tested previously. The 9x magnification is immediately apparent compared to using a 8x unit.The human eye will easily register a 12 per cent increase in magnification with just a little experience. 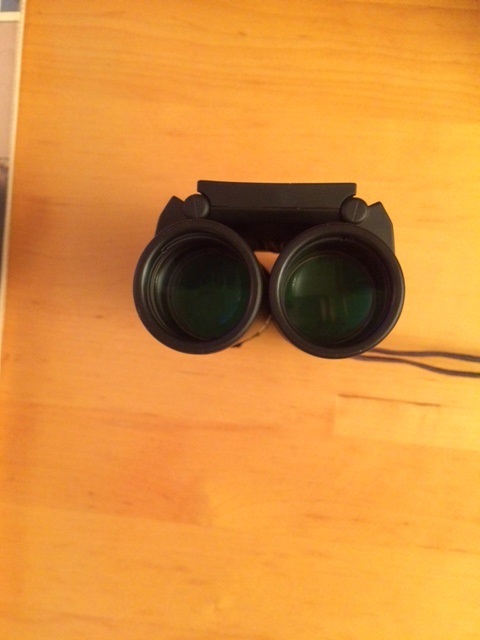 Images appear equally bright in the Pentax in comparison to the Opticron (afterall they have the same exit pupil of 3.1) but the greater field of view is readily appreciated. Images are very sharp and contrasty with only very slight softening at the edge of the field. 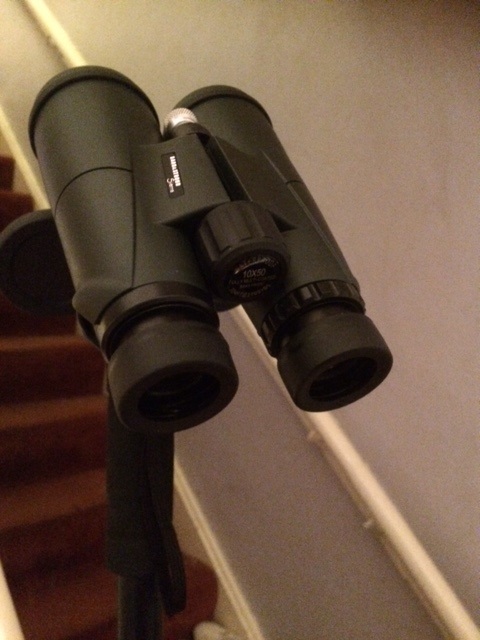 Control of stray light is very good; almost as good in fact as my larger Barr & Stroud roof prism binoculars( yep, you really have to experience them to know of course!). This is immediately apparent when turning the instrument on a bright Moon which shows that glare and internal reflections are very well controlled. The large focusing wheel is a bonus, moving smoothly and precisely but with a little bit more tension than I would have liked. Still, it’s perfectly fine for the tasks I intend to use it for. I measured the close focus to be just under 10 feet. I find the 9x very useful in daytime use as it brings objects that little bit closer, aiding in the identification of small birds or subtle landmarks in the distance. I’m glad I didn’t go for something with a 10x magnification though, as this would probably have generated images a tad too dim for my liking, but your mileage may vary! It will serve me well for occasional hill walking ventures and at sports events, where its small size won’t cause me to look too out of place. If money is an objection or if you’re frugal like me, I’d recommend purchasing quality instruments second hand. A few thoughtfully chosen questions and the answers they generate from the seller never go amiss. 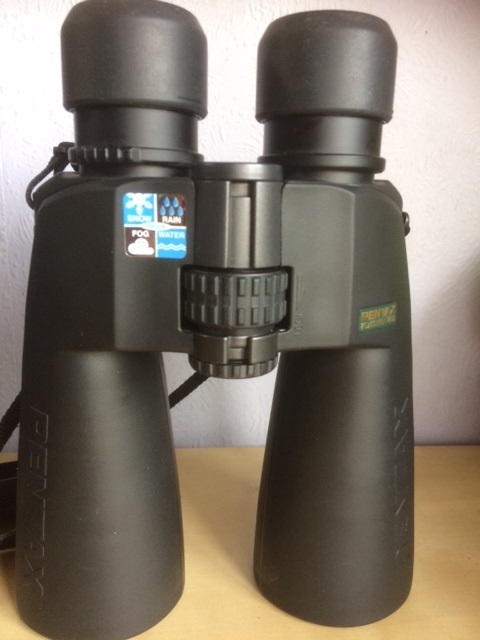 If you do your research and know what to look for in a binocular, you can secure real bargains for relatively small financial outlays. Ultimately though, I would not recommend spending huge amounts on these small instruments. I find them, well, a bit unexciting. They’re just too small to use for prolonged astronomical appllications and their daytime performance, while good in bright light conditions, is noticeably inferior to mid-sized instruments under dull or low light situations, such as at dawn or dusk. 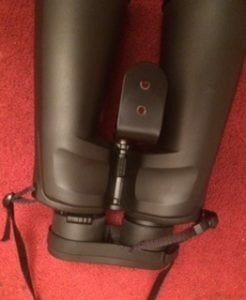 In comparison, my 8 x 42 is, by far, my most used binocular; providing a great balance between portability and utility by day or by night. Sure, it’s nice to have a quality pocket binocular around, but unless I were to embark on a trek through the Himalayas, I can’t see myself reaching for one all that often. Dr. Neil English’s latest historical work, Chronicling the Golden Age of Astronomy, takes a detailed look at the life and works of great telescopists from the early 17th century right up until the modern era. 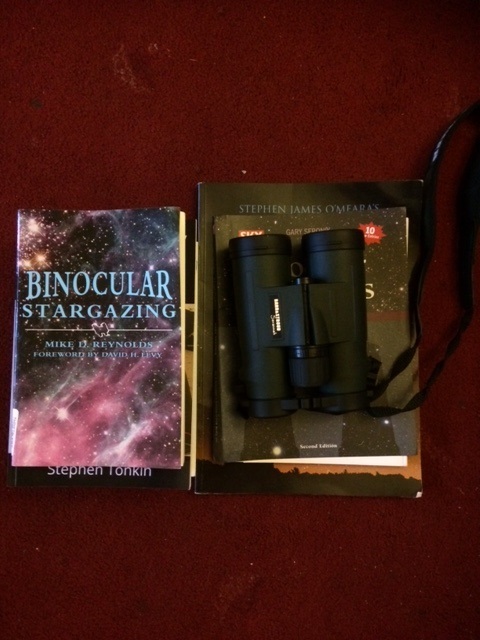 For the Record: My Telescope & Binocular Collection. 12″ f/5 Revelation Dobsonian with ultra-high reflectivity coatings on original mirrors, 23 per cent central obstruction. Used regularly. 8″ f/6 Skywtacher Dobsonian wth ultra-high reflectivity coatings on both mirrors. Original Skywacher primary mirror, original secondary replaced by a 44mm semi-major diameter unit from Orion Optics, UK. 22 per cent central obstruction. Now retired to garden. Plotina: 130mm f/5 Newtonian reflector. 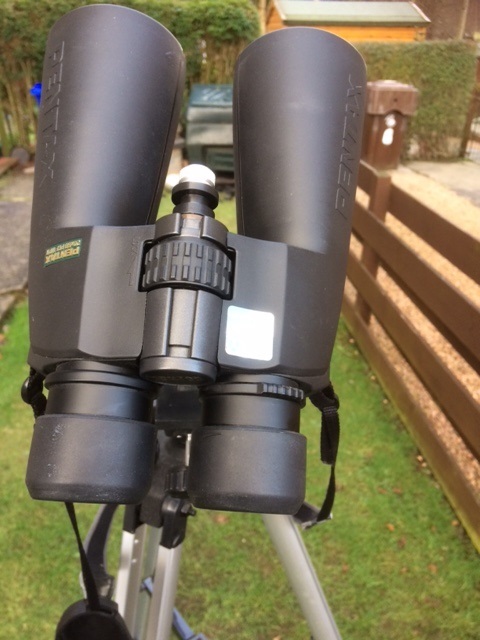 130mm f/5 Newtonian reflector, with ultra-high reflectivity coatings, secondary mirror replaced by a slightly smaller (26.9 per cent central obstruction) by Orion Optics UK. Most frequently used grab ‘n’ go telescope. Tiberius: 5″ f/12 neoclassical achromat refractor. 5″ f/12 IStar sourced neo-classical refractor with R 30 objective. Subject of much former work. Now retired to garden. Gaius, my 80mm f/5 short tube achromat. 80mm f/5 ShortTube achromatic refractor. Skywatcher objective in Opticstar tube assembly. 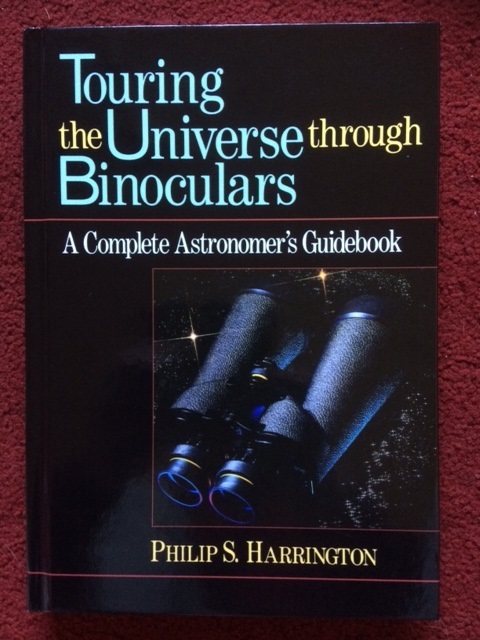 This is the subject telescope of a new book dedicated to the ShortTube 80. The AstroPhysics Traveler; 80mm f/11 doublet achromat. 80mm f/11 Astrophysics labelled achromatic refractor. Orginally donated to local school but returned to me after it was found in a sad state of neglected use. School instrument replaced by a smaller, shockproof instrument. Now seeking a new home. 9 x 28mm roof prism Pentax DCF LV pocket binocular (2009 vintage). 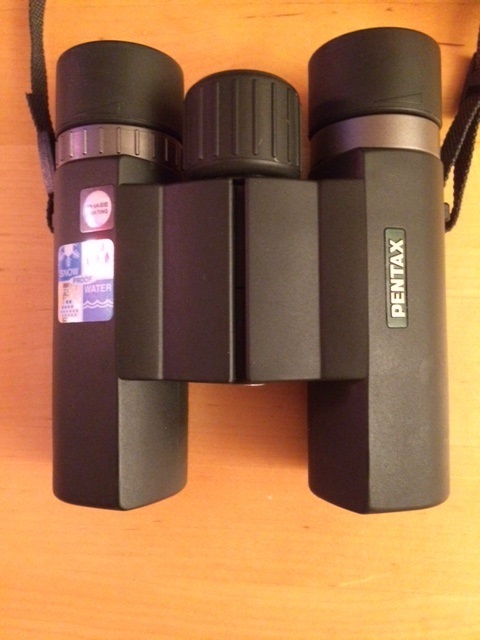 The Pentax DCF 9 x 28mm LV pocket binocular. 8 x 42mm Barr & Stroud Savannah roof prism super wide angle. Most used, general purpose binocular. 10 x 50mm Barr & Stroud Sierra roof prism. General purpose, astronomy binocular. 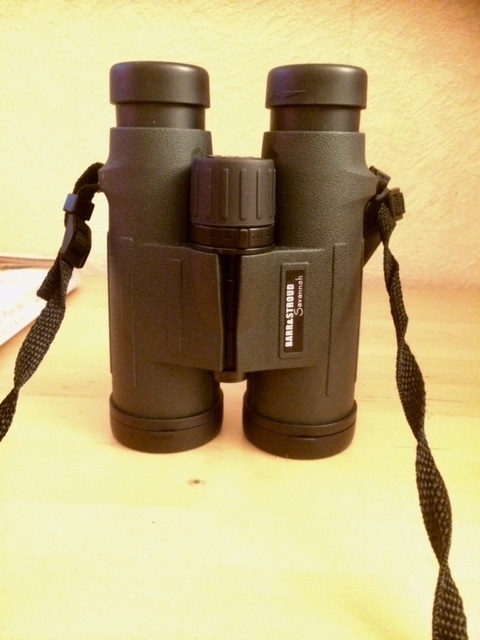 The Barr & Stroud 10 x 50 roof prism binocular. Pentax PCF 20 x 60 WP II: Large porro prism instrument, used on a monopod for specialised deep sky observing/solar viewing. Pentax 20 x 60 PCF WP II porro prism binocular. 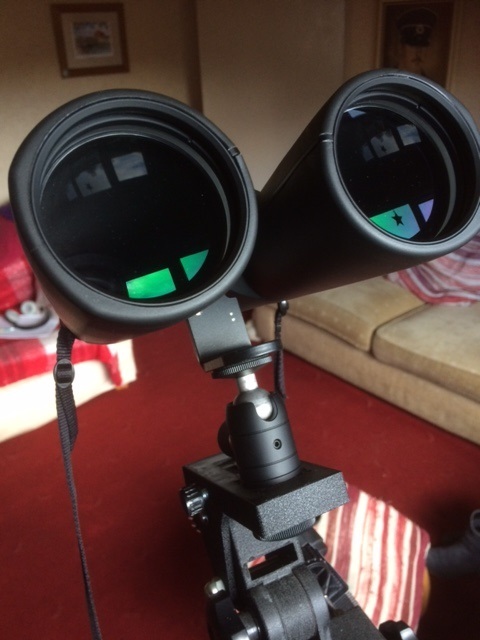 Future plans: converting my two Newtonian telescopes in active use to binoviewing mode. Currently investigating options. 8 Spectacular Binocular Sights for Winter Nights. Out and about with my 8 x 42 binocular. 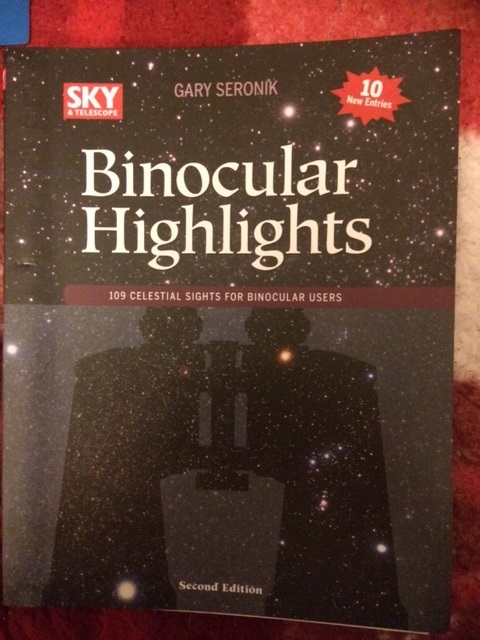 The winter sky is jam packed full of beautiful sights that can be appreciated with ordinary binoculars. Many of the brightest stars in the sky sparkle through the darkness on winter evenings, and some of the best open clusters and nebulae make their presence felt to even a casual observer even with the most basic of optical aids. In this blog, we shall explore 8 spectacular sights that can be enjoyed with hand-held instruments or using simple, stabilising arrangements such as a monopod. Solid as a rock; the 10 x50 binocular on a monopod. All of the targets in this article were observed with modest 8 x 42 or 10 x 50 roof prism binoculars, serving up fields of 8.2 and 5.9 angular degrees, respectively; plenty wide enough to see all of the targets discussed. What follows is a series of concise notes on what can be expected from a dark rural site with these instruments, but those who live in large towns and suburban areas can also enjoy many of the same sights. So what are you waiting for? 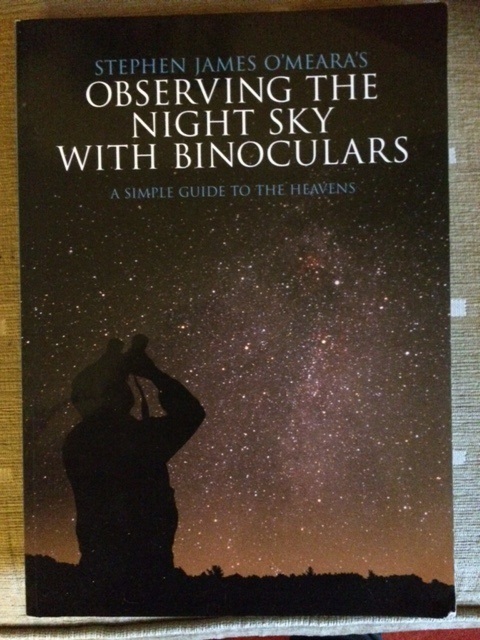 Fetch your warm winter coat, hat and gloves and join me on a whistle stop tour of the winter binocular sky. 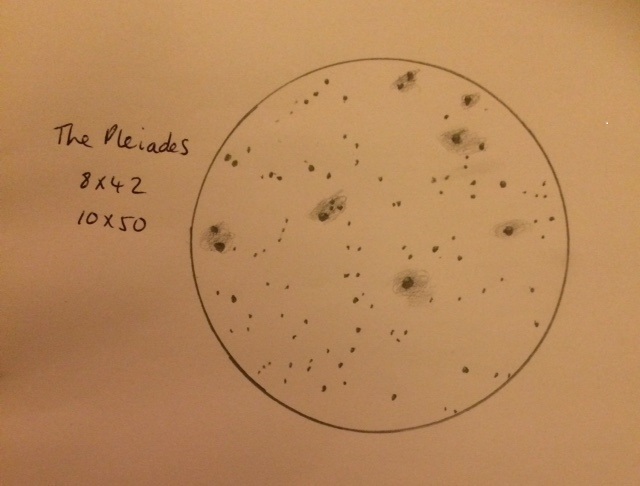 Exhibit 1: The Pleiades/Messier 45/Seven Sisters. The main part of the beautiful Pleiades cluster, as observed through 8 x 42 and 10 x 50 binoculars, based on observations taken over several evenings in early January 2019. Easy to find with the naked eye on winter evenings, the Pleaides is one of the most beautiful and engaging targets in all the heavens. This wondeful asterism consists of over 100 stars scattered across 1.5 angular degrees of sky. My wide angle 8 x 42 shows many of the brightest members, which shine with either a white or blue-white hue against a velvet black sky. Many wonderful stellar associations can be feasted on; doubles, triples and elaborate curving arcs of stars that fan their way from the bright centre of the cluster. 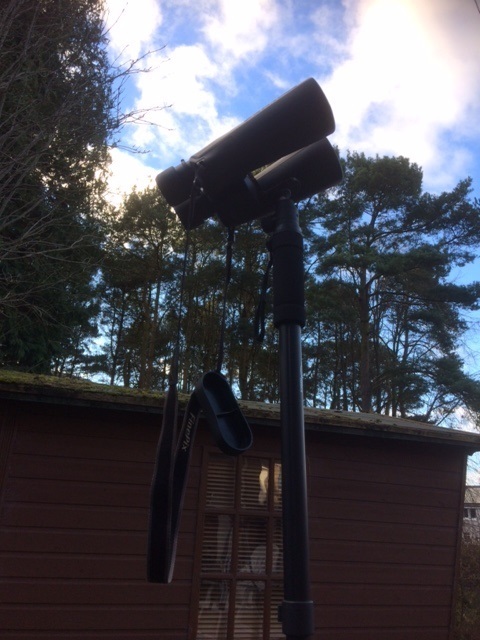 My 10 x 50 binocular, stablised on a lightweight monpod, significantly enhances the view with its larger image scale and ability to pull out fainter members. Words cannot fully grasp the beauty of this winter treasure. Small wonder the Pleiades has been the stuff of poetry ever since mankind first gazed upon the heavens. Clean, dust-free optics produce the prettiest views, minimising the scattering of light from its brightest members. Indeed, dusty optics can cause some individuals to mistakingly report seeing the faint reflection nebula around Merope and Alcyone with binoculars of this size, but in reality significantly larger instruments and exceptionally clear and transparent conditions are required to pull out this feature from the pretty asterism. This loosely bound system of stars is estimated to be about 50 million years old, with many of its main stars located about 440 light years from the solar system. Praesepe; the celestial Manger with Beehive Cluster (M44) seen left of centre. On a dark, moonless night, cast your gaze between the constellation of Gemini in the west and Leo Major in the east, just north of the ecliptic, and you’re sure to chance on a large foggy patch situated between Delta and Gamma Cancri. Binoculars will unveil a stunning sight; a beautiful quadrilateral of bright stars with a vibrant stellar cluster just left of its centre. Arriving on the meridian late on January and February evenings, the quadrilateral delineates the manger in which the Christ child was laid, with the cluster itself presumably denoting the spot where the holy family lay resting. The cluster itself is more famously known as the Beehive (Messier 44); an entirely appropriate appellation for this magnificent binocular sight. Several dozen stars are brighter than magnitude 6 but many of these are too close to each other to be cleanly resolved in ordinary binoculars. The cluster contains many fainter members, though while remaining unresolved, contribute a lot of diffused light which greatly enhnaces the visual appearance of the spectacle. Better seen in 10 x 50s than 8 x 42s, the manger structure is lost in the smaller field offered up by larger binoculars, though the cluster stars will be enhanced.The Beehive contains a total of about 200 stars and lies about 590 light years away. 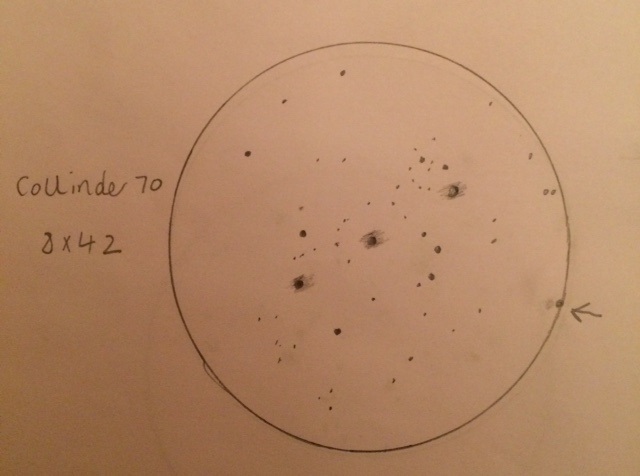 Collinder 70, of which the three belt stars of Orion are the brightest members.The arrow indicates the rough position of Eta Orionis, for perspective. Our next target couldn’t be easier to find. Simply point your binocular at the belt stars of Orion (from east to west these stars are called Alnitak, Alnilam and Mintaka), which radiate with an intense, white hue, pure as the driven snow. But the belt stars are merely the brightest members of a far grander cluster of magnitude 6, 7 and 8 stars collectively known as Collinder 70, snaking their way up and around them. For best results, observe this cluster when the Moon is out of the sky and when Orion reaches its maximum altitude in the south. I’m in two minds about which binocular yields the better view. The 8 x 42 yields a whopping 8.2 degree field giving a wonderful wide-angle perpective, while the 10 x 50 shows some fainter members but in a smaller true field. For this object, I think I’ll give the nod to the former instrument.Where I’m located at 56 degrees north latitude, Orion never gets too high in the sky, and I find it interesting to see how the view improves- a darker sky with more numerous stellar members – as the constellation wheels its way toward the meridian. Each incremental rise in altitude; degree by degree; enhances the view. This is a delightful target for all lovers of the night sky. Don’t leave winter behind without a visit! Melotte 20 centred on Alpha Persei(Mirfak). The stars are arrayed south to north, as it appears in late winter. On a dark, moonless night with good transparency, the constellation Perseus looms high in the sky for northern observers. Our next port of call couldn’t be easier to locate; just point your gaze at Mirfak (Alpha Persei) and hold up your binocular to your eyes. The scene literally explodes with beauty! A torrent of starlight drowns your eyes, as the wide field view of the binocular captures the riot of stellar members in this famous OB Association. In late autumn and early winter, Perseus climbs the vault of the sky from the east, presenting its stars in an east to west orientation, but I have found that the view is that little bit more magnificent when it sinks into the western hemisphere on January evenings, when the same stellar association is arrayed north to south, when the above sketch was made. Containing about 70 hot white and blue-white stars ranging from magnitude 3 through 10, Melotte 20 is quite young; about 50 million years old with the main members being located some 550 light years from the solar system. This author never tires of its beauty; the more you look at it, the more you see! 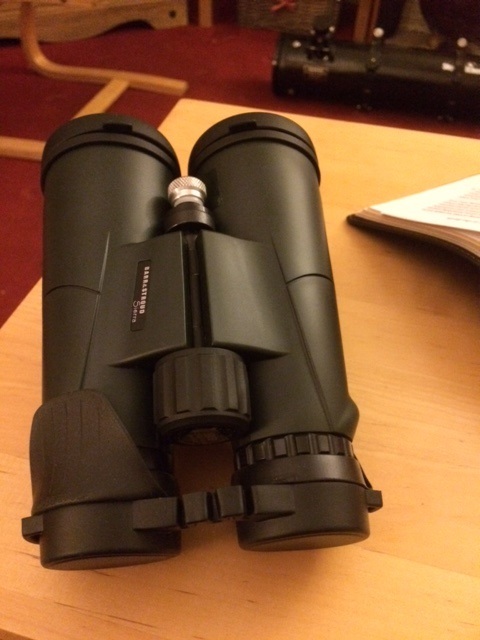 The Illustrious Hyades; eye candy for ordinary binoculars. To find our next winter binocular treasure, just cast your gaze on the beautiful orange star, Aldebaran, and bring your binocular to your eyes! Aldebaran is the brightest star of the familiar horns of the Celestial Bull. But with the aid of binoculars, your eye can feast on a sparkling array of double and triple stars of varying glory and hue. Best framed in a 10 x 50 binocular, the cluster spans a whopping 5.5 degrees with as many as 130 or so stars presenting as brighter than magnitude 9. Intriguingly, Aldebaran is not a true member of this system but is actually located about half as far away as the other stars in this sprawling open cluster, which astronomers estimate is about 150 light years away. 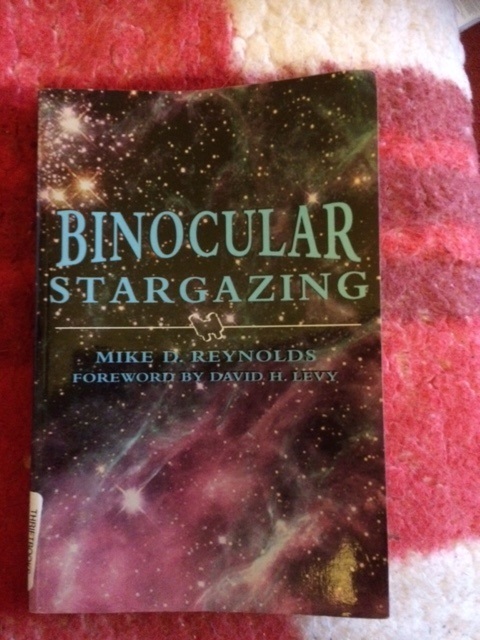 Few binocular sights enthrall as much as the Hyades. I love the way the cluster changes its orientation in the binocular field as it transitions from the eastern to the western hemispheres of the sky. Using a monopod with the 10 x 50 helps bring out the faintest members that often elude hand held observations. The celebrated Double Cluster in Perseus; eye candy for all apertures. Our next target is very easy to find; just look midway between the ‘wonky W’ of Cassiopeia, the Queen, and the ‘tip’ of Perseus, the Hero. From a dark, country sky, devoid of moonlight, these clusters are clearly visible to the naked eye as an elongated foggy patch, but turn a binocular on them and you’re in for a real visual treat! Both clusters are about the size of the full Moon and are designated NGC 884 and NGC 869. The richer of the two is NGC 869 (western most) and contains about 200 stellar members, while the eastern-most cluster (NGC 884) has stars that are significantly more scattered. Together they provide a breathtaking sight in ordinary binoculars. The above sketch was made with a 10 x 50 instrument and covers a swathe of sky roughly 5 angular degrees in extent. An eye-catching stream of stars is seen fanning away from both clusters. From high northern latitudes, the Double Cluster is well placed for observation from early autumn through early spring but is best observed when it is highest in the sky after sunset on December and January evenings. Both clusters are located some 8,000 light years away and consist of mostly young type A and B stars, though larger instruments will help pull out more highly evolved, ruddier members. The Swordhandle in Orion as seen in my 10 x 50 binocular. The field covers an area slightly larger than 2 angular degrees in width. Our next target is the Swordhandle of the great constellation of Orion, readily identified with the naked eye even from an urban setting. This is a spectacular sight in any binocular but is especially pretty in a 10 x 50. The eye is immediately drawn to the Great Nebula (M42), one of the nearest star forming regions to the solar system. Newborn stars light up the gas and dust surrounding them and a steady hand will reveal several pinpoint stars within its confines. Just above it lies M43, just separated from M42 by a thin sliver of dark sky. At the top of the field is the pretty open star cluster, NGC 1981 and below it the binocular picks up some faint whisps from the diffuse nebula NGC 1973-77-79. Below M42 lies the comely binocular double star Iota Orionis and Struve 747 which appear to have some nebulosity associated with them. I have no trouble seeing a greenish colour in M42 in larger binoculars or in my 80mm f/5 refractor at medium power, but I find it somewhat elusive in the 10 x 50. Perhaps those observing from a darker site may fare better in this regard. Many of the objects in the sketch are located between about 1200 and 2,300 light years from the solar system. 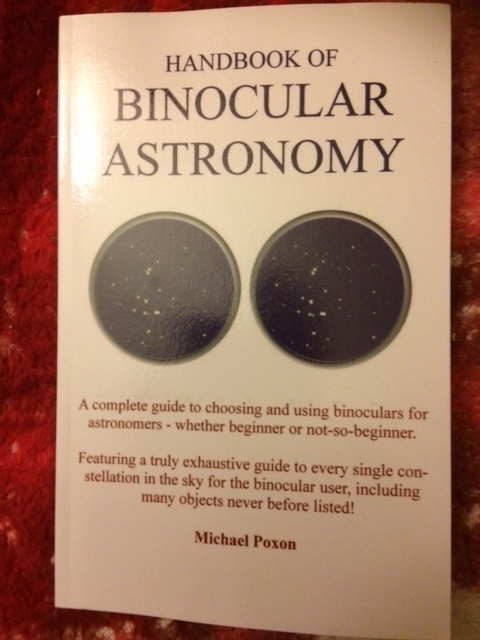 The widely spaced Coma Star Cluster as seen in the author’s wide-angle 8 x 42 binocular. Our final target is for night owls – the celebrated Coma Star Cluster in Coma Berenices – as it doesn’t culminate until well into the wee small hours during early February. 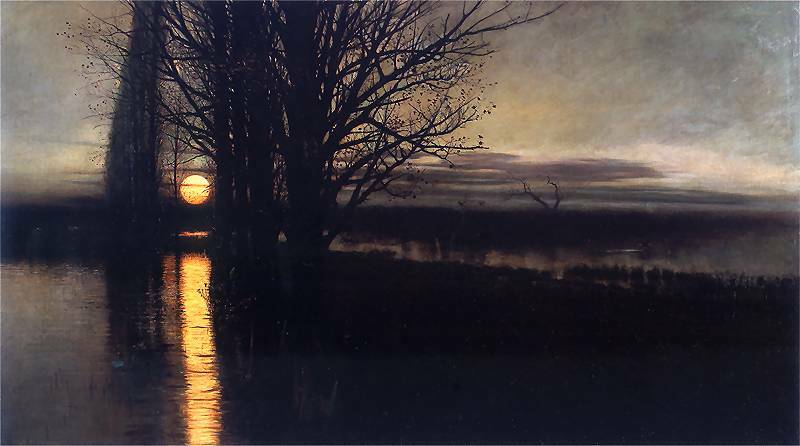 Those who prefer to observe earlier in the night might wish to wait until month’s end to explore it. To do justice to this large and sprawling open cluster, a wide angle binocular is the best tool, as the cluster extends over a broad swathe of sky (at least 6 degrees) and is completely lost using telescopes. My 8 x 42 nicely frames this very loose congregation of suns, the brightest of which are of the 5th magnitude of glory. Visually striking, the main feature of this cluster is a distorted ‘V’ shape which renders it rather easy to identify with optical aid. The Coma Star Cluster(not to be confused with the galaxy cluster bearing the same name), with its 50 or so members, is close to the solar system as clusters go; just 285 light years according to the best modern estimate. Well, I hope that you will take the time to venture out on these long winter evenings to observe these beautiful and accessible objects. You don’t need any fancy equipment, just ordinary binoculars, a warm coat and hat, and a modicum of curiosity! Thanks for reading and clear skies! Neil English is the author of a new and ambitious historical work, Chronicling the Golden Age of Astronomy, now available in hardback and electronic formats.